Is this the beginning of the end for the jambon-beurre? Paris (AFP) - For the first time in history, hamburger sales in France have soared higher than the classic baguette jambon-beurre sandwich as French diners surrender to the American fast-food favourite. Burgers were on the menu at 85 percent of restaurants in France last year with a whopping 1.5 billion units sold, according to a study by Paris-based restaurant consultants Gira Conseil. More worryingly still for the defenders of French cuisine, just 30 percent of the burgers were sold in fast food joints, with the majority sold at restaurants with full table service. Le burger has almost become French, often served with some of the country's most famous cheeses like Roquefort rather than plastic cheddar. This is big news for a country that takes great pride in its national culinary culture, and which for years resisted the global burger onslaught. "We've been talking about a burger frenzy for three years. This year, we don't know how to describe the phenomenon. It's just crazy," Gira Conseil director Bernard Boutboul told AFP. 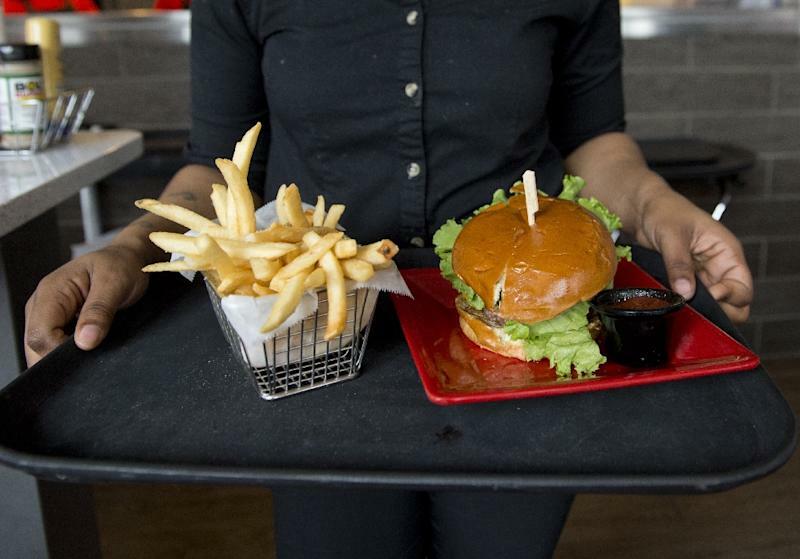 There was a nine percent jump in burger sales last year. "That's phenomenal growth," Boutboul said. In 2016, hamburger sales were on a par with the jambon-beurre, or ham-and-butter baguette -- which is still the most popular sandwich in France. 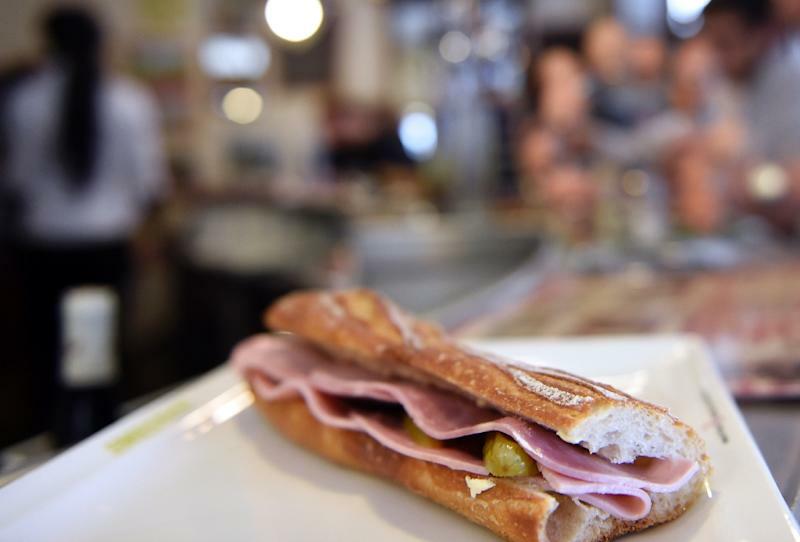 "But in 2017, for the first time, (burgers) overtook (the French classic) by a long way," Boutboul said, with jambon-beurre sales at 1.2 billion units. "One wonders whether the burger might even overtake our famous steak frites in France," he said. There, Boutboul may have hit a nerve. While the French see their food culture as unique, the truth is a lot of it is based on meat, bread, salad and potatoes -- not a far cry from what makes up a US burger meal. "Where is the country going to?" one Twitter user sighed at the news, with another raging that "we will all end up wearing Mickey Mouse ears in their rubbish theme parks," in a reference to Disneyland Paris. The only silver lining for foodies was the gradual demise of junk food, with high quality, fresh alternatives on the rise in a growing number of French gourmet burger restaurants. More broadly, however, fast food joint sales were "beating record upon record", Gira Conseil found, making 51 billion euros ($63 billion) in 2017. But the big trend was for a more gastronomic experience, the consultants found, often using France's rich palette of traditional ingredients. Despite a series of headline-grabbing attacks on its branches by angry farmers two decades ago, France is now McDonald's most profitable market outside the US, with more than 1,400 restaurants. 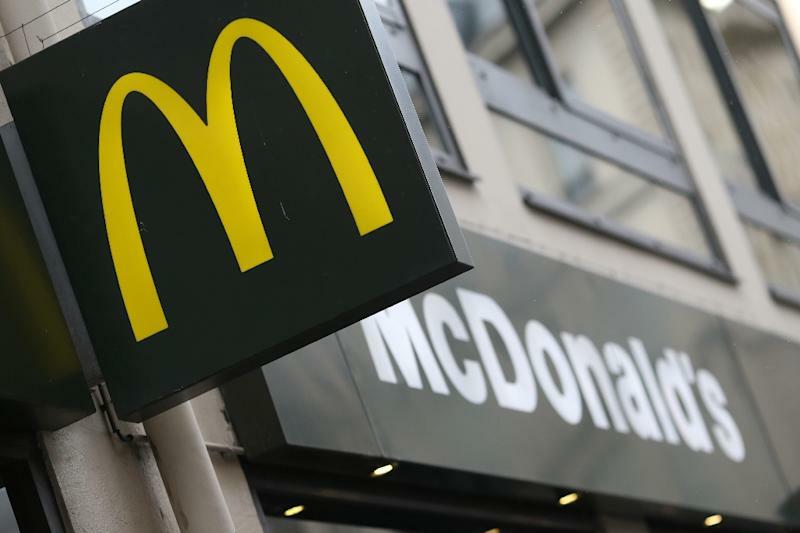 The Golden Arches has adapted to French tastes with the McCamembert and McBaguette burgers with emmental cheese, Dijon mustard, various French salads and even macarons for dessert. Customers can also drink beer with their meals. Jean-Pierre Petit, the man credited with helping France fall in love with "McDo", is one of the brand's most influential executives, pioneering McDonald's attempts to adapt itself to local tastes. In his 2013 book, "I Sold My Soul to McDonald's,", Petit admitted that he had not eaten his first hamburger until he was 30. In 2005 Frenchman Denis Hennequin, who introduced the Parmesan burger in Italy and the Shrimp Burger to Germany, became the first non-American to lead the McDonalds brand in Europe. But a lot of the fast food that does best in France is high quality -- and fairly pricey. Food truck culture, another import from the US, has spawned a number of hip burger chains such as Le Camion Qui Fume (roughly translated as the Smoky Truck). Some joints take pride in serving burgers made from premium quality beef, along with a glass of French red wine. "Even the Americans are keeping an eye on what we're doing in our gastronomic fast food sector," Boutboul said.